The South Carolina Department of Motor Vehicles (DMV) is looking to save you some time, by allowing you to schedule certain appointments ahead of time. 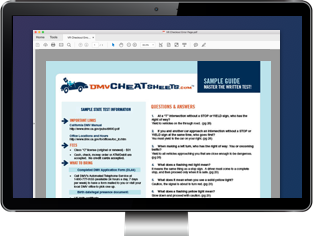 This guide will outline the types of appointments you can make, how to go about making them, and what you'll need to bring to your DMV visit. You should also keep in mind that the state offers online driver and vehicle services which could ultimately save you a trip to the DMV. Class A, B, and C commercial driver's license (CDL). Class E and F non-commercial, large vehicle license. You can use the convenient online scheduling system provided by the SC Department of Motor Vehicles to make any type of road testing appointment. You can also call your local, South Carolina DMV office branch to make a behind-the-wheel examination appointment for a standard driver's license only. Not all SC DMV offices offer the same types of road testing and do not have the same hours of operation. Take a look at the Department of Motor Vehicles' website to make sure you'll be able to schedule an appointment when and where you need to. If you need to cancel or change your appointment, you can log onto the aforementioned online scheduling system using your appointment receipt number and modify your appointment details. Commercial driver license (Classes A, B, and C) road skills test. Classes E and F, large vehicle road exam (via South Carolina DMV's site).